So cool! I've been meaning to buy some of this stuff - but making it is even better! Sarah, that's so true, the next best thing is making it. Of course the first best thing is knowing a korean family who can give you some ;) hehe. I miss my neighbours, her kimchi was amazing! 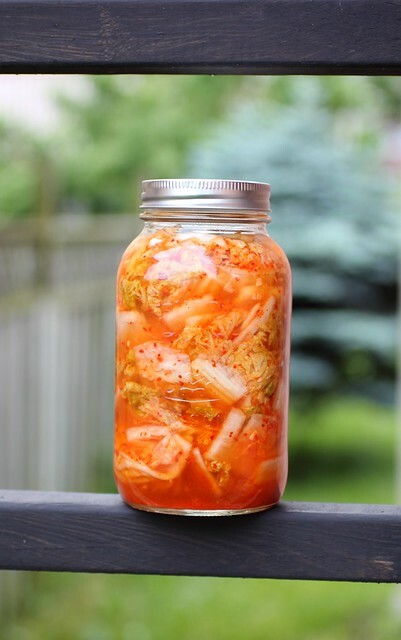 Candace, if you like spicy food and most pickles and condiments I'm sure you'll love kimchi! Give it a try, it's addictive and makes a plain bowl of rice totally delectable. I'm going to taste mine soon so I'll do an updated post about how it turned out.